As Benjamin Franklin famously wrote, "in this world, nothing is certain except death and taxes." IRS agents are there to ensure the certainty of the latter. Most people appreciate their roads, interstates, sewers, parks and garbage collection. Almost everyone respects the jobs of police officers, firefighters, and emergency medical service workers. When April 15 rolls around, though, very few have an appreciation for how all those services are paid for. Most, however, have a healthy respect for the penalties that come from not paying. No one likes paying taxes, but some people go to great lengths to avoid them altogether. Violating federal tax laws is a crime the government takes very seriously. IRS special agents work in the Internal Revenue Service's Criminal Investigation Division to enforce those laws. After the 16th Amendment to the U.S. Constitution was ratified allowing Congress to collect an income tax, people very quickly began trying to find ways to bend the rules and avoid paying. Recognizing the need for specialized investigators to root out tax fraud and ensure everyone played by the same rules, six inspectors from the U.S. Postal Service were transferred to the Bureau of Internal Revenue to serve in a newly-created Intelligence Unit. The intelligence unit gradually evolved into what is now known as the Internal Revenue Service Criminal Investigative Division. The unit has grown from six investigators in 1919 to a 3,700-member law enforcement division made up of both sworn and non-sworn employees, including nearly 3,000 highly trained special agents. Throughout their existence, IRS agents have been involved in some serious busts. Tax law affects everyone in some way, and it was taxes that finally lead to notorious gangster Al Capone's arrest and conviction. Through the hard work and sharp minds of IRS investigators and treasury agents, working as some of the world's first forensic accountants, many dangerous criminals who thought they were beyond the reach of the law have been brought to justice. The primary function of IRS agents is to enforce the tax laws of the United States. They conduct both civil and criminal investigations into cases involving tax fraud. 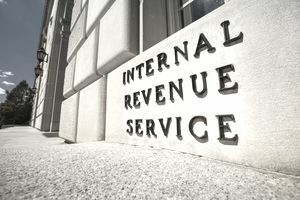 IRS agents also assist other federal agencies in conducting investigations into various financial crimes, such as money laundering, financial fraud, and embezzlement. Most federal law enforcement agencies have some sort of financial crimes unit. The IRS Criminal Investigations Division, though, is the only law enforcement body with the authority to investigate tax law violations. IRS agents are law enforcement officers who work closely with financial information and calculations. Like other investigators and special agents, much of their work is conducted in an office setting, as well as in the field exploring leads and gathering information and interviews. Agents may be assigned nearly anywhere in the United States or to one of several field offices around the world, including offices in the United Kingdom and Canada. To meet the minimum requirements to be considered for a job as an IRS agent, you must be a United States citizen under the age of 37 and you must have a valid driver license. Recent military retirees and those currently working in other federal law enforcement careers may be exempt from the maximum age requirements. In addition to the minimum, potential agents must have at least a bachelors' degree, with at least 15 semester hours dedicated to areas of study such as finance, economics, banking, business law or tax law. Naturally, IRS agents need to have excellent analytical skills and must be good with calculations. They must have done well in school and graduated with a minimum of a 2.8 GPA. They must also be strong in mathematics and have excellent interpersonal communication skills. The IRS puts its applicants through an extensive and rigorous hiring process that includes a battery of online tests and job simulations in order to determine a candidates' suitability for the job. There is also a written assessment to determine candidates' writing skills, as well as a structured oral interview. The hiring process also includes a psychological exam, medical screening, and a drug test. Finally, potential IRS agents are required to submit to an extensive personal tax audit to ensure they are following the laws they intend to enforce. Once hired, agents attend law enforcement and special agent training at the Federal Law Enforcement Training Center in Glynco, Georgia. Upon completion of their training, agents must be ready and willing to be assigned to any of the division's field offices across the country. Newly hired IRS agents can earn between $41,000 $67,000 per year. The large difference in starting salary depends on experience and education, which will determine what level a candidate is hired at. Most federal law enforcement careers are highly competitive because they tend to pay so well and come with great benefits. This is no less true for IRS agents. While attrition and the need for more agents due to increasingly complex tax laws will continue to create vacancies, positions are highly sought after. To stay up to date on the availability of IRS agent jobs or any other federal criminology careers, you can create a profile and receive vacancy alerts from the federal government's job portal, USAjobs.gov. Underappreciated though it may be, the job of the IRS agent is vital to enforcing the tax laws of the United States. Even if no one enjoys paying taxes, the role of the IRS and it's investigators is important in ensuring the government is able to maintain its civil and defense infrastructures for the protection, use, and enjoyment of all. If you are good with numbers and analysis, and you appreciate the importance of taxes and finance, then working as an IRS special agent may be the perfect criminology career for you.